The reigning King of the Hawaiian Islands is the Big Island, which continues expanding every day due to its active volcanoes. From its flowing lava to its serene tropical shores, the Big Island is home to a wide array of natural wonders for you to explore during your Hawaiian vacation. Whether you want to spend your days lounging on beautiful beaches or exploring all that this diverse island has to offer, you can elevate the quality of your stay by booking your accommodations through Vacatia. 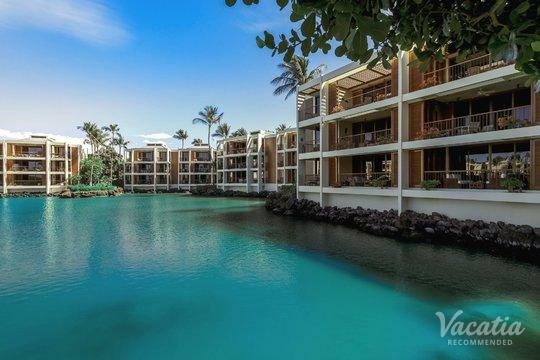 Instead of booking your stay at one of the four-star hotels in Big Island, work with Vacatia to find the perfect vacation rental for your trip. Vacatia strives to provide travelers with quality vacation rentals that will make you feel as if you're living in paradise rather than just visiting. Not only does Vacatia provide an impressive selection of quality vacation rentals on the Big Island, but Vacatia's Guest Care team is also available around the clock to answer any questions and address any concerns you may have. Let Vacatia help ease some of the stresses of planning a vacation so that you can instead focus on enjoying your time on this beautiful Hawaiian island. Lined with stunning beaches and dramatic coastline and punctuated with looming mountains and active volcano sites, the Big Island of Hawaii is easily one of the most fascinating and beautiful islands in the Hawaiian archipelago. The Big Island is the largest Hawaiian island by far - all of the other Hawaiian islands could fit into the Big Island twice. Because of its size, the Big Island boasts an endless amount of sights to see and areas to explore. Whether you want to hike through lush, tropical rainforests or see the glow of lava up close, the Big Island won't disappoint. 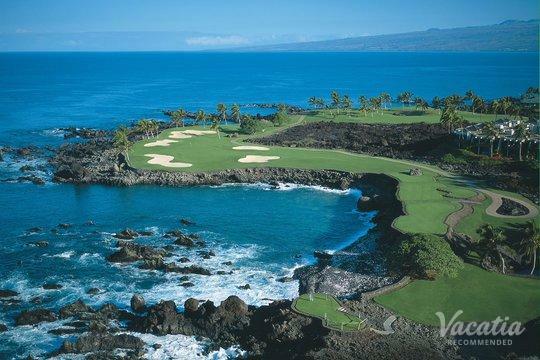 No matter what the Big Island has in store for your vacation, you should work with Vacatia to plan your trip to Hawaii. 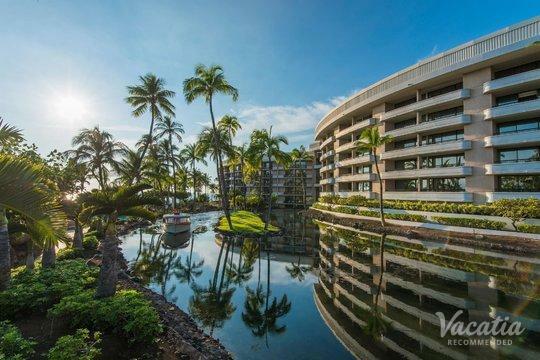 Vacatia can help you book your stay at one of the best four-star resorts in Hawaii (Big Island), which means that you will have a luxurious home away from home in this tropical paradise. After a long day of exploring the island or even just relaxing on the beach, you can return to a spacious, comfortable vacation rental thanks to Vacatia. Unlike a typical hotel, Vacatia's rentals provide ample living space, including a fully equipped kitchen, in addition to the desired services of a resort. The Big Island of Hawaii is situated in the Pacific Ocean amidst the Hawaiian archipelago, which stretches for 1,500 miles. The Big Island is the most geographically diverse island in Hawaii, primarily due to its size, and this means that there are endless opportunities for exploration during your Hawaiian vacation. 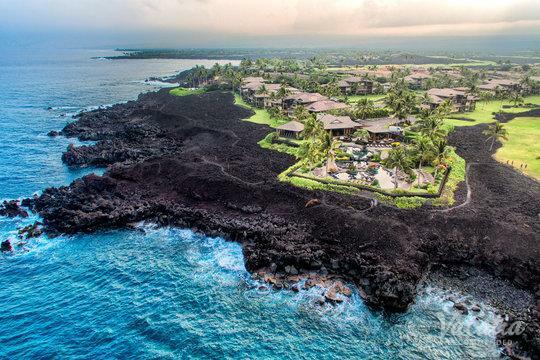 From world-class surfing beaches to towering mountain ranges, the Big Island is home to a number of beautiful, exciting sights, and Vacatia can help provide you with the perfect home base for your adventure-packed trip to the Big Island.